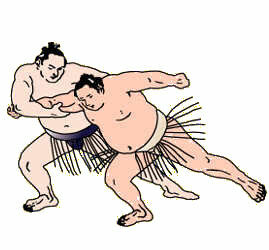 En battant Shohozan, le yokozuna Hakuho est maintenant l’unique lutteur invaincu après les défaites de Goeido et de Aminishiki. 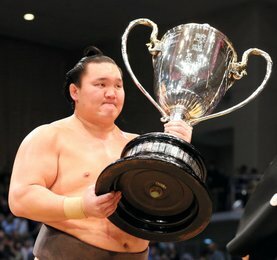 Le yokozuna Hakuho a amélioré vendredi son score à 6-0, et a pris l’avantage à la sixième journée du tournoi. Au lendemain de son combat où il avait perdu son sang froid, le grand champion s’est empressé de vaincre Shohozan (2-4) en le projetant au sol. Le yokozuna a commencé la journée à égalité avec deux autres lutteurs, l’ôzeki Goeido et le maegashira 13 Aminishiki, mais ces deux derniers ont chuté laissant Hakuho seul en tête du peloton. Goeido a subi sa première défaite face à Chiyotairyu (2-4). L’ôzeki a opté pour une approche défensive réussissant à déjouer son adversaire mais a hésité à l’attaquer quand Chiyotairyu était en déséquilibre. L’autre ôzeki, Takayasu, a subi sa deuxième défaite consécutive. Dans un échange de gifles, Takayasu a semblé perdre sa concentration à un moment crucial, a baissé sa garde, et a été facilement repoussé par le maegashira 1 Takakeisho (4-2). 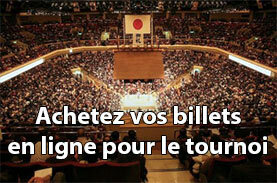 Le yokozuna Kisenosato a amélioré son score à 4-2. Kisenosato s’est imposé face au maegashira 2 Tochiozan. 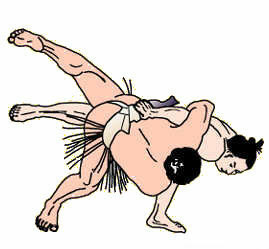 Le sekiwake Mitakeumi est resté proche du leader grâce à une victoire sur le komusubi Onosho (1-5). Dans un match riche en bousculades, Mitakeumi est resté imperturbable pour obtenir sa cinquième victoire. Aminishiki, l’un des favoris du public en raison de son retour remarquable en makuuchi à 39 ans, est tombé contre Asanoyama (2-4). Asanoyama s’est montré un peu plus rapide, ce qui lui a permis de renverser la vapeur et de l’emporter sur Aminishiki. Yokozuna Hakuho improved to 6-0 on Friday, when he seized the sole lead after six days of the Kyushu Grand Sumo Tournament. A day after his poise failed him and he had to rely on brute strength to overcome his opponent, the Mongolian master pressed No. 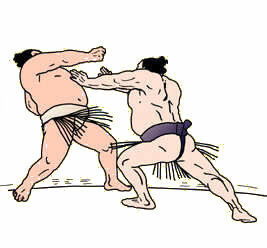 3 maegashira Shohozan (2-4) back to the straw and finished his opponent with a throw as both toppled out of the ring. 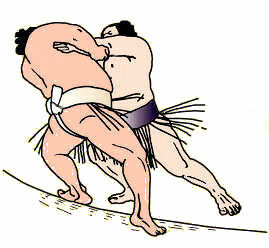 With both men trying to throw the other in the same direction, Hakuho had the upper hand, sending Shohozan down first with an overarm throw. 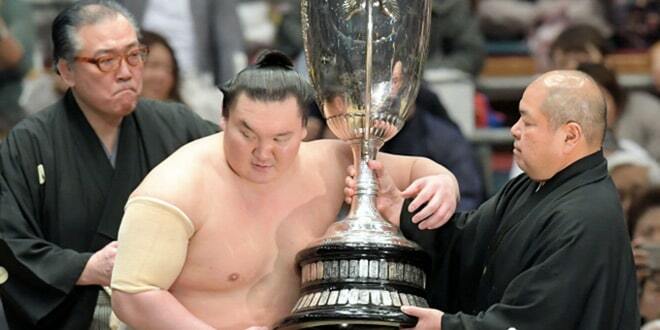 Hakuho improved his career record against Shohozan to 13-0. 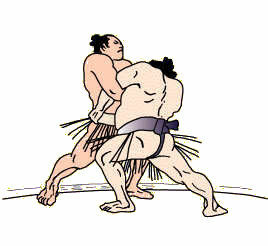 The yokozuna started the day tied with two other wrestlers, ozeki Goeido and No. 13 maegashira Aminishiki, but both fell by the wayside to leave the Mongolian in pole position. 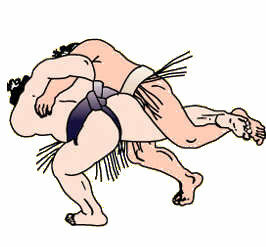 Goeido suffered a narrow defeat to No. 2 maegashira Chiyotairyu (2-4). 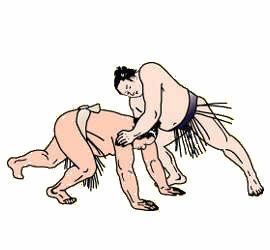 The ozeki adopted a defensive approach and was able to outmaneuver his much larger opponent, but hesitated to attack when Chiyotairyu was off balance. 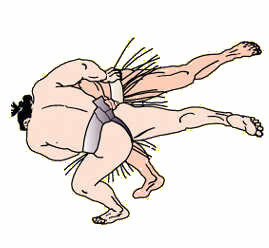 With both wrestlers teetering near the edge, Goeido attempted to slap the maegashira and topple him, but instead sacrificed his own balance and fell backward out of the ring. 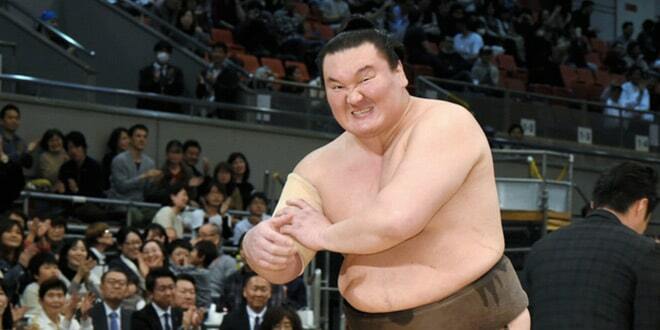 The other ozeki, Takayasu, suffered his second straight loss after starting the tournament at 4-0. 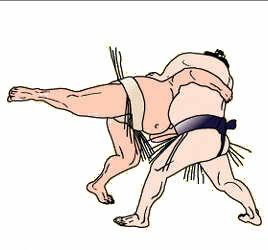 In an artless slap fest, Takayasu appeared to lose his concentration at a crucial juncture, let down his guard with his heels to the straw and was easily pushed out by No. 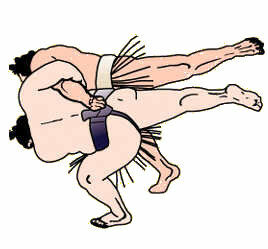 1 maegashira Takakeisho (4-2). Yokozuna Kisenosato won his second straight bout to improve to 4-2 and avoid falling further out of the lead. 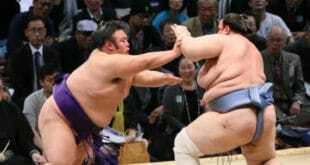 Kisenosato drove winless No. 2 maegashira Tochiozan back with his initial charge but failed to power him out. The yokozuna then changed tactics. 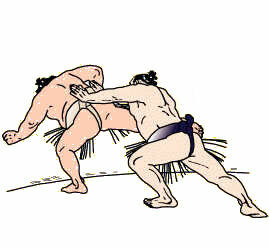 He lured Tochiozan into taking a step toward the middle of the ring and twisted him down to defeat. Sekiwake Mitakeumi stayed one back of the leaders with a win over komusubi Onosho (1-5). 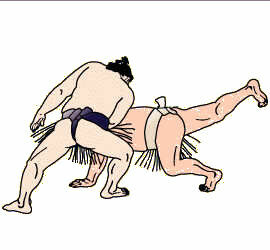 In a slapping and shoving match that ebbed and flowed across the sandy surface from one edge of the ring to another, both wrestlers attacked and counterattacked until Mitakeumi was able to dodge his opponent’s lunge and slap him to the surface. Aminishiki, a 39-year-old fan favorite because of his remarkable comeback story, fell to No. 11 maegashira Asanoyama (2-4) in their first career bout. The 23-year-old Asanoyama, competing in his second tournament in the elite makuuchi division, proved just a hair quicker, and that allowed him to turn the tables on Aminishiki. The oldest wrestler to return to the top flight after being demoted, Aminishiki is competing at this level for the first time since tearing his Achilles tendon in the May 2016 Summer tourney.